Just 90 miles west of Fort Worth, Possum Kingdom Lake is called the Great Lake of Texas, and, in my opinion is the "Best Kept Secret in Texas!" If you aren’t looking for a lake home maybe you know someone who is. 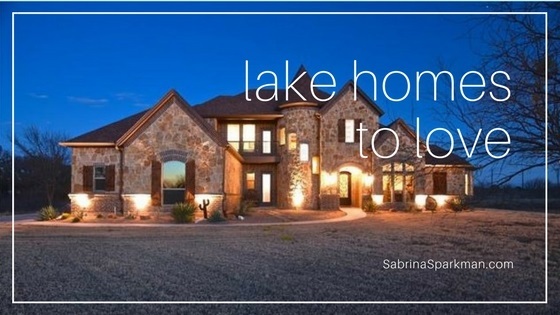 Here are three homes to fall in love with that are currently for sale on Possum Kingdom lake. Fully Furnished Hog Bend Home: Fantastic home in a great location with a spectacular north, northwest view of beautiful Possum Kingdom Lake! It sits on a 1.3 acre deeded lot with 150 feet of deep water lake frontage. If you are looking to get away from it all, this is the perfect place to start creating your lake memories! Situated a short distance from the well-known Hells Gate area where the famous 4th of July firework display is held annually. Model-like home with Tuscan Inspiration: No expense was spared when it come to constructing this energy-efficient home. Enjoy exquisite finishes throughout the entire home. The spacious living room leads to an open-concept kitchen, the formal dining offers high ceilings, and the abundance of windows offers brings the views of nature indoor. Step out onto the second story balcony to enjoy endless views of Possum Kingdom Lake. This home is in situated in a gated community offering residents a private clubhouse, infinity pool, and boat storage and dock.